So, you have made up your mind to buy a used car instead of waiting till the time you save the money / raise enough loans to buy a new car. If so, you will do well to make a cursory check of the used car before you buy it. 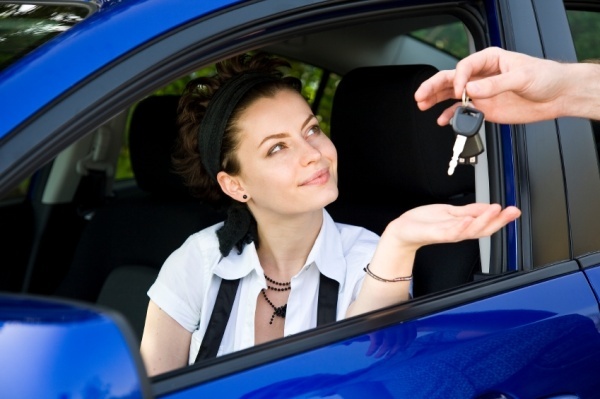 So what are the points one should remember about, while buying a used car? 1) The car body may have holes or rust which cannot be repaired. If that is the case, then the only alternative is replacement of the part if possible. Rust is a spreading defect and no amount of filing and painting can restore the original appearance. 2) A repainted car appears shoddy. Often, the difference in color of the paint in repaired areas becomes very evident. 3) Check the tailpipe; oil in it indicates a serious motor disability. 4) Scratches or ripples on the body panels indicate that the car body has undergone repair and the spray painting has not been done properly. 5) If the car tires are in poor condition it indicates that there is some alignment or suspension problems which need to be corrected. It may also indicate that the car was run with under or over inflated tires. On the basis of this you can ask the seller to reduce the car price, or have the parts repaired or replaced. 6) Now check the interiors of the car – look for torn carpets, upholstery etc. These show how roughly or carelessly the car was used by the previous owner. 7) Check the windshield for any cracks or chips. 8) A car runs well if the electrical system and electrical components are in good trim. Check these items/gadgets properly: lights, turn signals, fan, windshield wipers, horn, radio and other related items. If they do not work properly it indicates that the electrical system/gadgets need revamping. 9) Check the fluid level under the hood. If anything is low, or if the motor oil or transmission fluids emit fouls smell it indicates poor maintenance by the owner. 10) Finally check all the pipes, hoses and belts for wear and tear; check if there are any leaks in them, including anti-freeze leaks. • Find out why they are selling the car. If they don’t give a clear reply, you can assume that they are doing so because the car is having a major problem and they never seem to get over it. • The next obvious question could be how long they had the car, and whether they bought it second hand or as a new one. If it is for a short while, a possible reason may be some recurring problem that seems difficult to be rectified. • Ask if the car needs any immediate repairs to make it more road worthy.If the repairs are minor, ask what it would cost to have it done. This will give you an indication if the repair work is worth the trouble. If there are any similar additional repairs to be made, bargain for a lower selling price of the vehicle keeping in view the repair expenses of the car. • Wear and tear of a used car depends upon the distance it has traveled (miles covered). Excepting the tires, most parts do not exhibit wear and tear. You can guess easily the real value of a used car by the distance it has traveled Check the mileage carefully, better if you take a mechanic to assess the condition of the car too. • It is wise to closely examine the Carfax record of the car. Checking it will tell you the previous history of the car – things like if the car has been flooded before, or had it even been totaled, or if the odometer had been tampered with before and so on. This article was contributed by Mike Fischer – an automotive blogger writing mainly for the site UnoCarDealers. He can be contacted at mikefischer620 [at] yahoo [dot] com with requests for automotive content. He would also like to network with auto bloggers, and others in the industry.